Skyrim Nexus, Nausicaa. 26 Mar 2013. Come together N Out of the way - Nausicaa-S Tweaker. 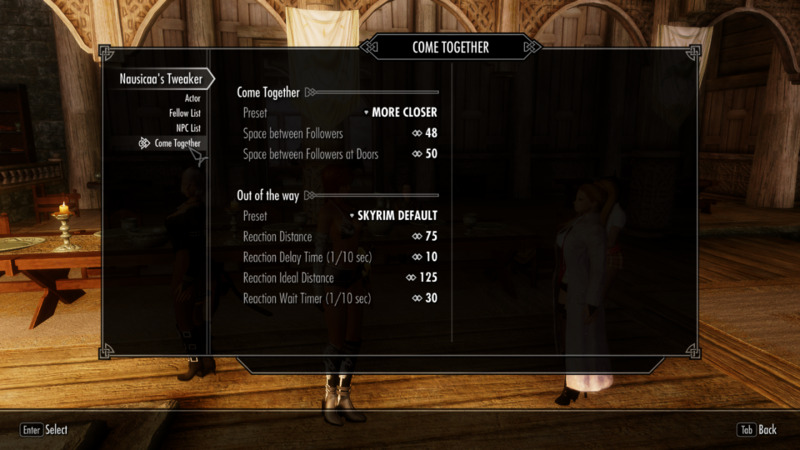 9 Mar 2013 <http://www.nexusmods.com/skyrim/mods/33562>.